Eat about a tablespoon of yogurt out of yogurt container. 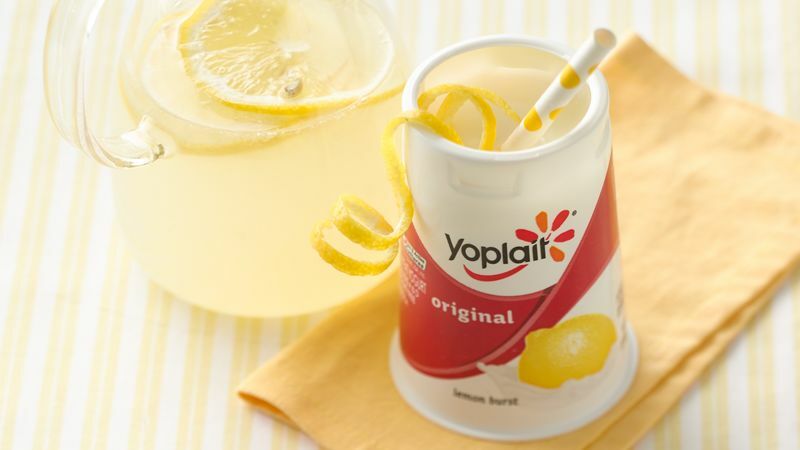 Stir lemonade into yogurt with fork until smooth. Add a straw, and enjoy from yogurt container. Garnish with lemon slice. Want to share? This recipe easily doubles or triples and can be poured in juice glasses to serve a crowd.